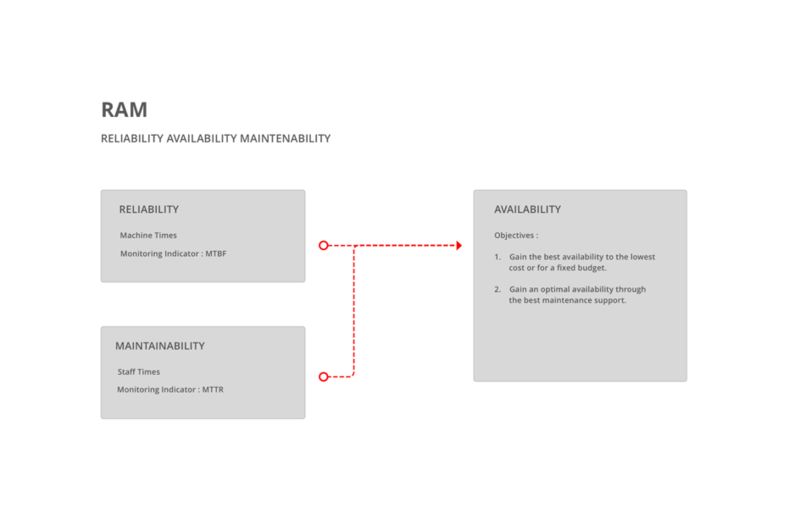 What is Reliability Availability Maintenability | RAM ? Reliability Availability Maintainability or RAM is a key measure of a maintenance activities optimization strategy. Reliability refers to MTBF performance and focuses on "machine" times. Maintainability refers to MTTR performance and focuses on "staff" times. Availability is a product of the two previous indices and reveals the ability of equipment to meet its production function.